Chris Christie to Republican Jewish forum: "9/11." Republican presidential candidate New Jersey Gov. Chris Christie speaks on Nov. 14, 2015, in Orlando, Florida. 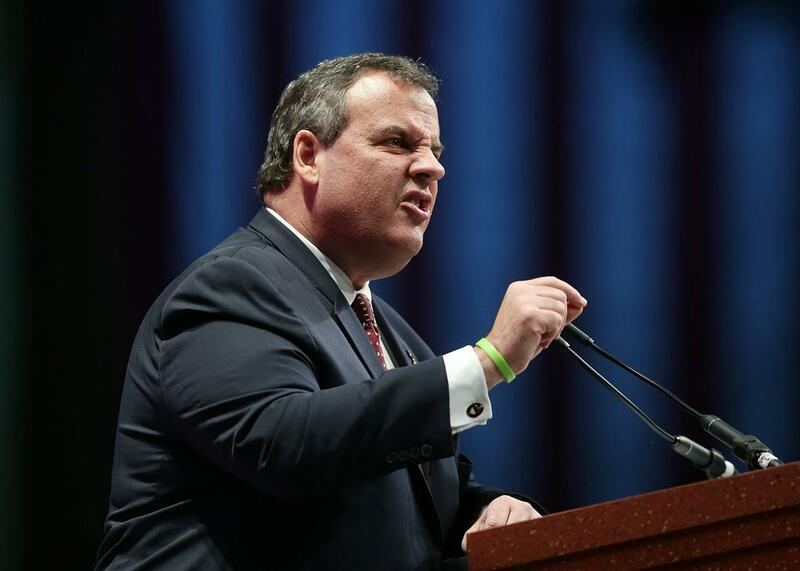 There is a fourth Bush running for president now, and his name is Chris Christie. How did this happen? Perhaps the Bush family, while migrating from Connecticut to Texas, left young Christopher behind at a New Jersey rest stop and never bothered to return and pick him up. Since the Paris attacks, Christie sounds more like a George W. Bush–era Republican than even Jeb Bush, and Jeb Bush sounds exactly like a George W. Bush–era Republican. Christie’s speech at the Republican Jewish Coalition candidates’ forum Thursday was straight out of the 2004 presidential cycle. We are, per Christie, all going to die, and soon. Deeply granular descriptions of 9/11, 9/11, and 9/11 are littered everywhere. All that matters is feeling comfortable while we sleep at night, and only Chris Christie will keep us safe. Speaking of terrorism! “As we stand here today, for the first time since 9/11, I think we are going to have to confront the loss of American life on American soil to terrorist conduct.” (This is not at all correct: the anthrax attacks, the Boston bombings, Fort Hood. Some would say the Planned Parenthood shootings just last week. Or any of the other daily shootings.) “Let me tell you as a former prosecutor, as I began to watch the event unfold last night: I am convinced that was a terrorist attack.” And the rest of us are next: “If a center for the developmentally disabled in San Bernardino, California can be a target for a terrorist attack, then every place in America is a target for a terrorist attack. Christie then launched into a five-minute retelling of what he, his family, his friends, and his neighbors were doing on Sept. 11, 2001. You’re either with Chris Christie or you’re against him.